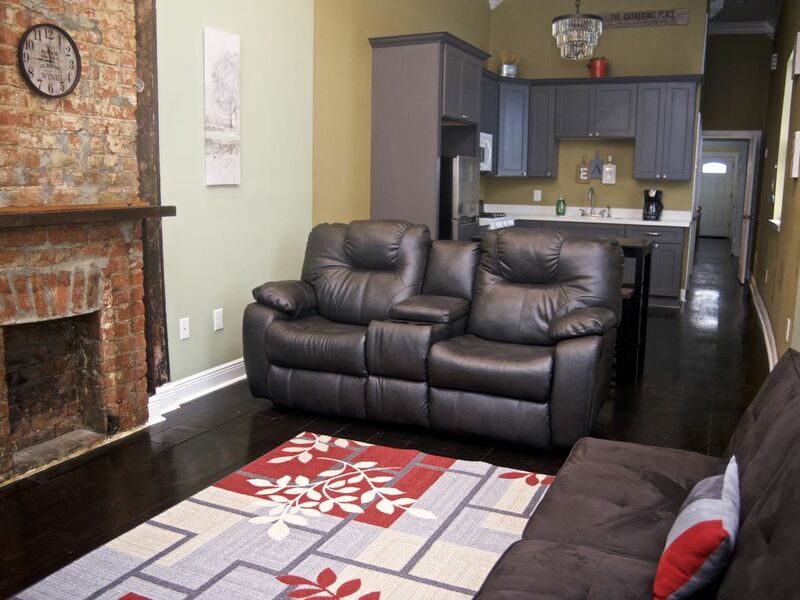 This newly renovated property is located uptown New Orleans, it comes with a living room, free Wi-Fi, and fully equipped kitchen. Relax outdoors in the landscaped courtyard. The property is 15 miles to Louis Armstrong International Airport and two miles to downtown. The St. Charles street car line is three blocks away and the Lafayette cemetery 1 is five blocks away which is filled with many attractions. It has flat screen tv, coffee maker, microwave and toaster. The home was beautiful and very well kept. Lots of extra blankets and towels. The only problem we had were the guests next door. The wall seemed thin....but they were a bunch of teenage boys. very clean, pictures were exactly what was in the home, no surprises. location was close to everything we wanted to see and do (never drove more than 25 minutes to get somewhere!). would recommend and stay again. Fun 3 day weekend. Condo was close to all the attractions. Clean condo and close to everything! Immaculately clean and comfy rental! I stayed at this rental for 4 night this past week. The property is an older shotgun cottage/duplex with 2 bedrooms and 2 full bathrooms with lots of charm and is stylishly decorated. The rental we stayed in was beautiful and very very very clean. My daughter and I had plenty of room to spread out and we were very comfortable and more than happy with the accommodations. WiFi was spotty but a local we chatted with told us that it is a common problem for this area of New Orleans. The owner was communicative and helpful. Great place to stay. Well maintained, owner was very patient with us on our arrival due to delays. If we texted him he replied relatively fast! Uber XL rides to just about anywhere less than $15. great host, great location I 100% recommend!